Self-aligning ball bearing 1211 GOST28428-90 HARP, Ukraine. Cylindrical surface of bore. Without adapter sleeve. Dimensions: 55x100x21 mm. Corresponds to the bearing 1211 DIN630. Net product price: 144,87 грн. Gross product price: 173,84 грн. The ball bearing consists of two rings (internal and external) and rolling elements (balls), connected with a cage - separator. Inner surface of rings has sperical form for free rings axial rotate. Self-aligning ball bearing provide correct working than 2...3° axial distortion is. Self-aligning ball bearing 1211 DPI India. Dimensions 55x100x21 mm. Corresponds to the bearing 1211 GOST 28428-90. Net product price: 103,29 грн. Gross product price: 123,95 грн. Hurry up! Last items in stock! 123,95 грн. 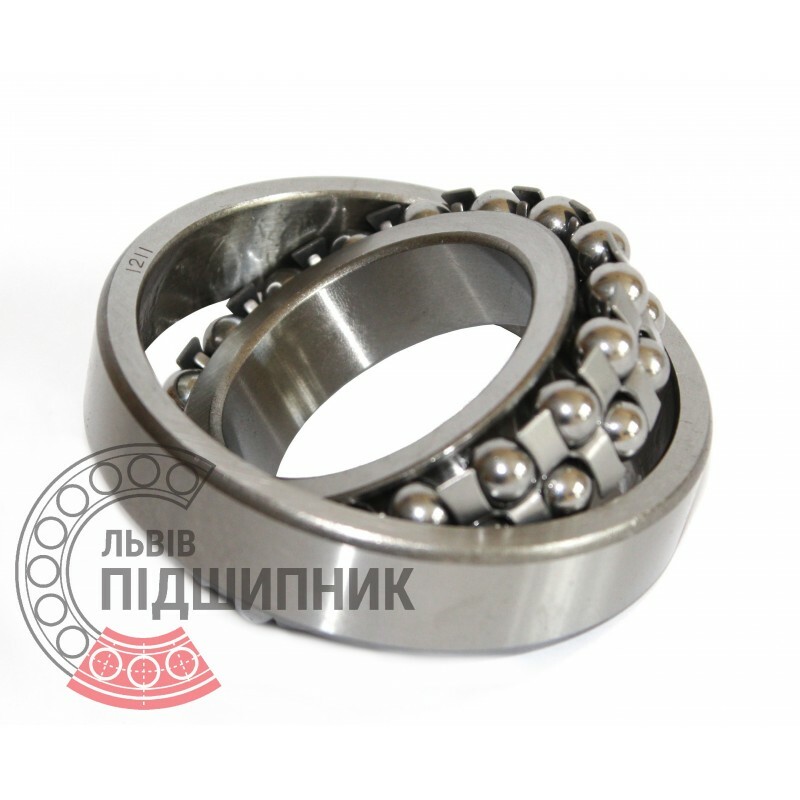 Self-aligning ball bearing 1211 GOST28428-90 SPZ, Samara, Russian Federation. Cylindrical surface of bore. Without adapter sleeve. Dimensions: 55x100x21 mm. Corresponds to the bearing 1211 DIN630. Net product price: 205,92 грн. Gross product price: 247,10 грн. Hurry up! Last items in stock! 247,10 грн. 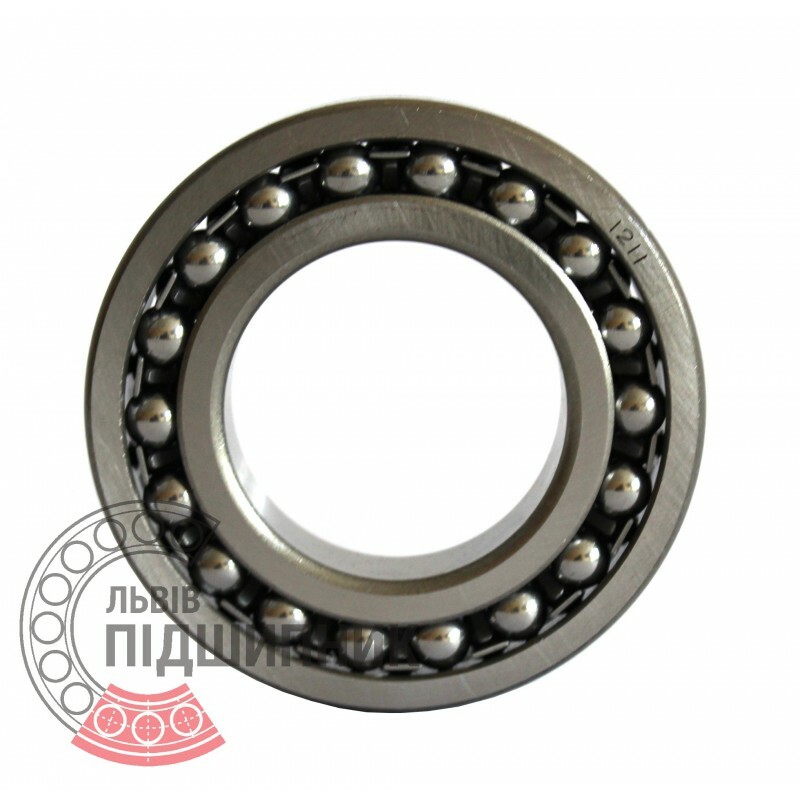 Self-aligning ball bearing 1211 CPR China. Dimensions 55x100x21 mm. Corresponds to the bearing 1211 GOST 28428-90. Net product price: 109,89 грн. Gross product price: 131,87 грн. 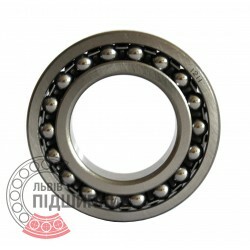 Self-aligning ball bearing 1211 CX Poland. Dimensions 55x100x21 mm. Corresponds to the bearing 1211 GOST 28428-90. Net product price: 237,60 грн. Gross product price: 285,12 грн. Hurry up! Last items in stock! 285,12 грн. 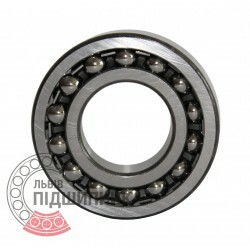 Self-aligning ball bearing 1211 Kinex Slovakia. Dimensions 55x100x21 mm. Corresponds to the bearing 1211 GOST 28428-90. Net product price: 257,40 грн. Gross product price: 308,88 грн. Hurry up! Last items in stock! 308,88 грн.